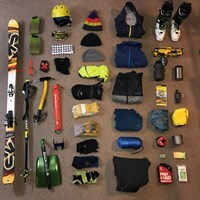 With Chrismas just around the corner, here are 10 stocking stuffer ideas for backcountry skiers. Santa will surely make that backcountry skiing enthusiast very giddy with these backcountry ski gifts stuffed into their stocking this Christmas. 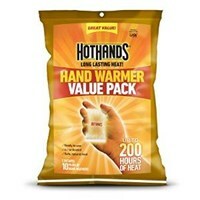 You can never have enough hand warmers because you never know when your hands will get really cold or wet while out on a backcountry ski tour. Hand warmers can help a skier avoid frostbite or just warm up their hands quickly when gloves just aren't enough. They add very little weight in a backpack, so it's a no brainer to pack some HotHands Hand Warmers into a backcountry pack or someone's stocking this Christmas! Allen & Mike's Really Cool Backcountry Ski Book is a fun and educactional backcountry skiing and winter camping book from two NOLS instructors. With hundreds of practical and entertaining illustrations by renowned illustrator Mike Clelland, this will make a great stocking stuffer book for a backcountry skier. The Black Diamond Binding Buddy is the perfect little tool to have in your backcountry ski repair kit to make binding adjustments and equipment repairs while deep in the bakcountry. 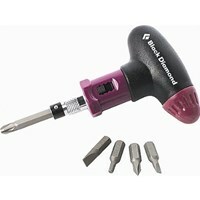 It stores five bits inside the handle and the ratchet adjusts to the left, right or locks in place. It really is an indispensable tool for a backcountry skier. Every backcountry skier should have at least one pair of Voile ski straps (18 inches or longer) with them at all times. They can be used to hold skis together while on your pack, strap gear together, help build a rescue sled and more. The Voile ski straps have plenty of uses for backcountry skiers. With all the importance we now put on cell phones for mapping backcountry ski routes, using the phones GPS, making emergency phone calls or texts, it's imperative that iPhones or Android phones don't run out of power. 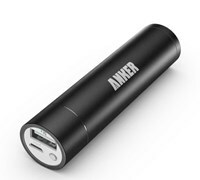 This is where having a Portable External Battery Charger comes in, by giving the backcountry skier extra juice to keep their cell phones powered up while out on those long ski tours in the mountains. Having battery power can truly be life saving! 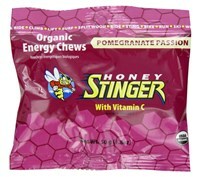 Honey Stinger Organic Energy Chews are super tasty treats that give you a nice kick of energy and keep you fueled up to keep going in the backcountry. These energy gummy's are a backcountry favorite!!! 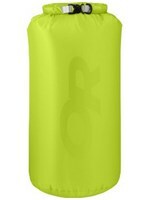 Keep your lunch food dry in your backpack with the OR Ultralight Dry Sack, without comprising weight. Whether you store you lunch or dry gloves or clothes, you really gotta have one of these for any adventure in the backcountry! Kinco Pigskin Gloves are the gloves that many vetern backcountry skiers use for ski tours in moderately cold weather (down to about 20 degrees). The leather holds up to abuse in the backcountry and are cheap at around $15 per pair. 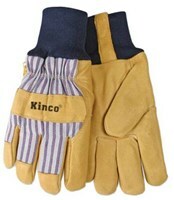 Kinco gloves are the main ski glove for many backcountry skiers. Just make sure you get Sno-Seal to protect the gloves from the elements! Sno-Seal Original Beeswax Waterproofing protects leather from rain, sun, snow, and salt. 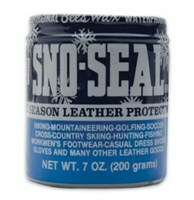 You can use Sno-Seal on your leather gloves or leather boots to keep your hands or feet dry, warm and light. Sno-Seal is also great for waxed cotton and tent seams. The beeswax formula dries to a solid wax that "stays put" in the surface of the leather so it lasts longer. These Ski USA deck of cards are just a fun little stocking stuffer that can be used on any extending backcountry ski or hut trip to pass the time. For more gift ideas see, Backcountry Skiing Gift Ideas.